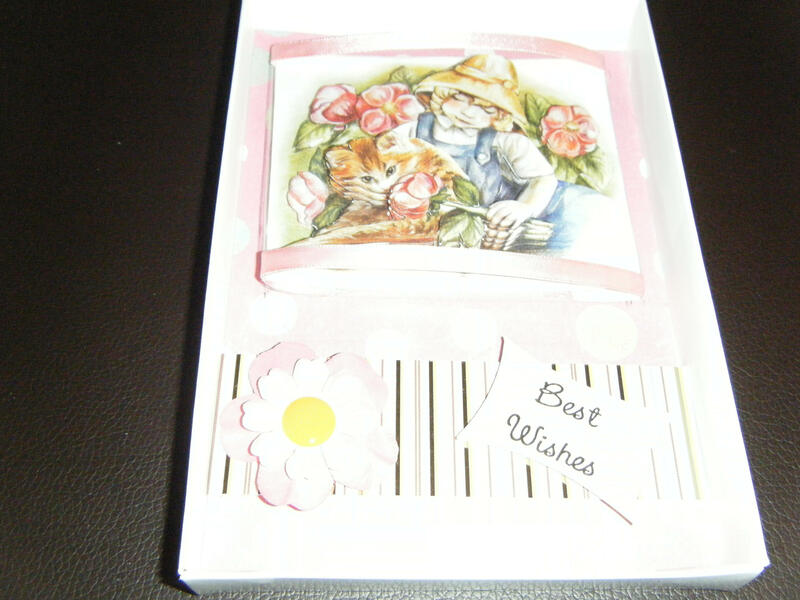 Handmade Decoupage Birthday Card In Box. Various Backing Paper With Paper Flower With Acetate Dome With Pink Ribbon On Top And Bottom Of Dome. Decoupage Design Is Child Playing With Roses And A Cat. Left Blank inside Of Card for Your Own Message.